First is Gretchen Kelly. I have always loved her work and her prices are awesome with many pieces only $60-$100 for original art! My favorite is her one minute poses that she completes with the models as warm up exercises before working on a more time intensive piece. They have a great abstract more modern look, with lots of color options to chose from. 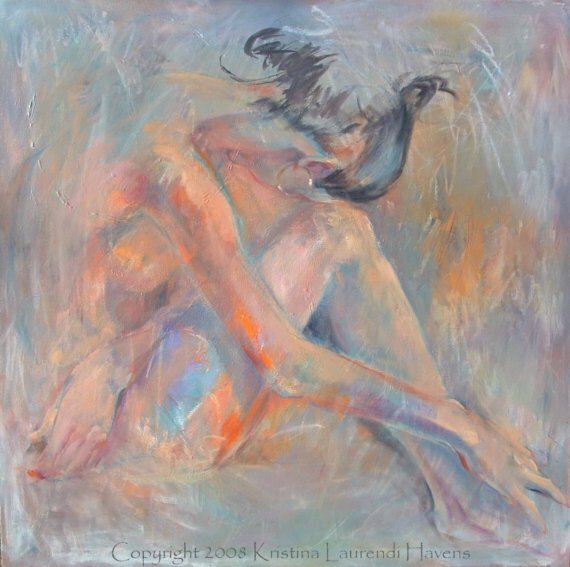 Another great artist is Kristina Havens. Her work could also be used in a more traditional setting. I love her red, orange, and yellow watercolor series! 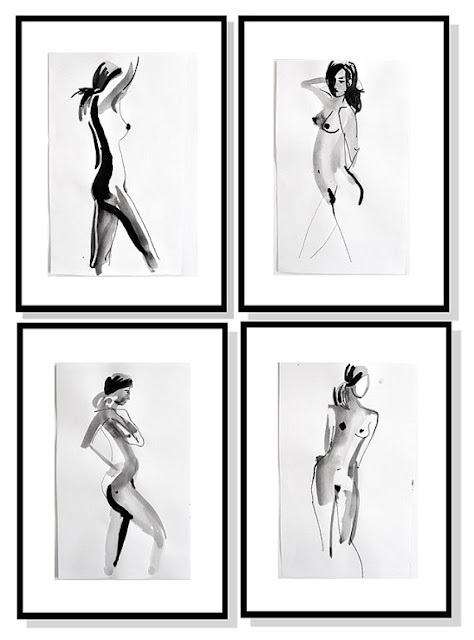 She has prints as low as $18 and many originals in the $200-$300 range...still a steal when you're talking original art! Now just to decide on one! Don't miss out on my Vogue box set giveaway HERE!